Eobot is one of the oldest running cloud service provider on the internet. 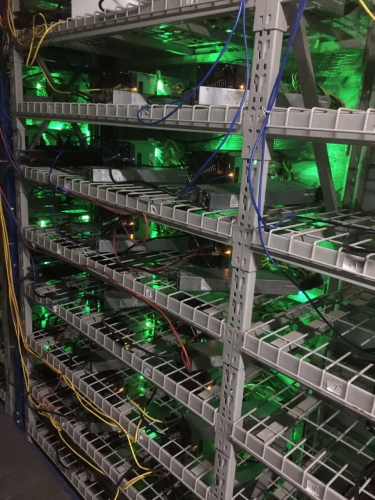 They offer cryptocurrency mining for SHA256 and Scrypt algorithms that is running on their Antminer S series miner rigs. Their more than 590 000 users can enjoy the benefits of the mining of the digital currencies without the anxiety about the electricity costs or the cooling of the hardware. Eobot was one of the earliest on the market to provide cloud mining services. They offer rental contracts from as short period of time as 24 hours to up to 5 years. Eobot is trying to remain up to date with new trends, they are adding new features from time to time and upgrading the equipment regularly. Eobot provides cloud mining facilities for SHA256 and Scrypt algorithms which both follow the difficulty of bitcoin and litecoin respectively. They offers cloud mining services for 21 different cryptocurrencies and users can choose their payout currency too from this list. The mining rigs consist of miners from the Antminer S series, currently they are mining on Antminer S7 and S9 machines. The rented Eobot hardware can directly mine to the client’s own pool with MyPool application. This can reduce the maintenance fee to 0% and lets the users to mine such coins that is not even supported in Eobot. 24 hour rentals are available, 1 TH/s for SHA256 algorithm costs 0.0030 BTC (2.63 USD) and 1 GH/s for Scrypt algorithms costs 0.2BTC (175.58 USD). The cloud mining at Eobot is priced based on the hashpower of the equipment. The charge is $0.00021 GH/s daily for the 4GH/s Antminer S9 miner rig. They also apply a 34% maintenance fee that is the fraction of the mining fee and should be added to the charge for calculation purposes. All fees are deducted every minute from the final payout the client receives. A portion of the closure have already been happened during the summer of 2016 when the bitcoin halving occured. They used to provide cloud mining for 2 GH/s and 3 GH/s contracts as well, but due to the falling bitcoin price combined with the rising bitcoin difficulty, Eobot stopped providing this service to its clients. They rather now ship the mining equipment to whoever wants to buy the Antminer hardware in exchange for GH/s paid earlier. Beside bitcoin, Eobot also accepts payments made by VISA, Mastercard, American Express, Discover and JCB cards. Got hacked from the site, someone withdraw from my account without having giving any passwords or account information. Even with these “cons,” all that matters is that it’s reliable and trustworthy, legit and you can start your cryptocurrency empire entirely for free. It’s definitely a 5 star rating. It’s more than just mining, also your cryptocurrency exchange and your safe wallet provider for all currencies they support. Once you get enough Bitcoins or whatever, you should use this alongside Genesis/Hashflare. It’s a really good system to adopt and it costs nothing to you. I came to your Eobot.com Review – Best Cloud Mining – Bitcoin & Crypto Mining Comparison page and noticed you could have a lot more traffic. I have found that the key to running a website is making sure the visitors you are getting are interested in your subject matter. We can send you targeted traffic and we let you try it for free. Get over 1,000 targeted visitors per day to your website. 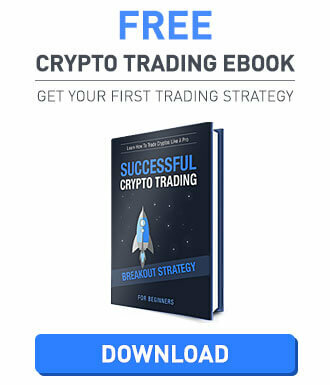 I initially invested in a 5 year contract back when bitcoin was 500 dollars a share, the website always worked very well with me and I did not have to worry about security issues. Once I noticed the price had risen quite a bit I withdrew many of my coins and transferred to a hardware wallet. The site worked very well for me and Actually turned out be a great investment. INPITE OF CONTACTING THEIR SUPPORT TEAM , I HAVENT GOT ANY FAVOURABLE REPLY..
IVEST ON YOUR OWN RISK..
As one might expect, they took my money [around 50 dollars] and blocked my account. If you are looking for a reliable investment, your local hobo might be a better bet. hi all,i’am growing my cryptocurrency.i’am not having any problem.